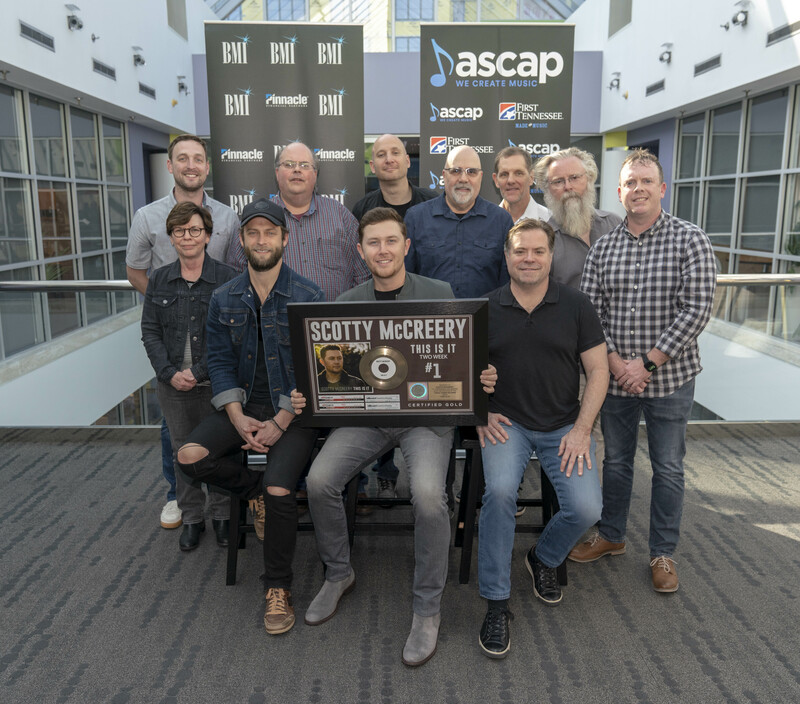 McCreery joined “This Is It” co-writers Frank Rogers and Aaron Eshuis on Wednesday (March 20) at an industry celebration hosted by ASCAP and BMI. The song marks the first No. 1 for Eshuis, and the first No. 1 for Derek Wells as a producer (and his 50th No. 1 as a musician). 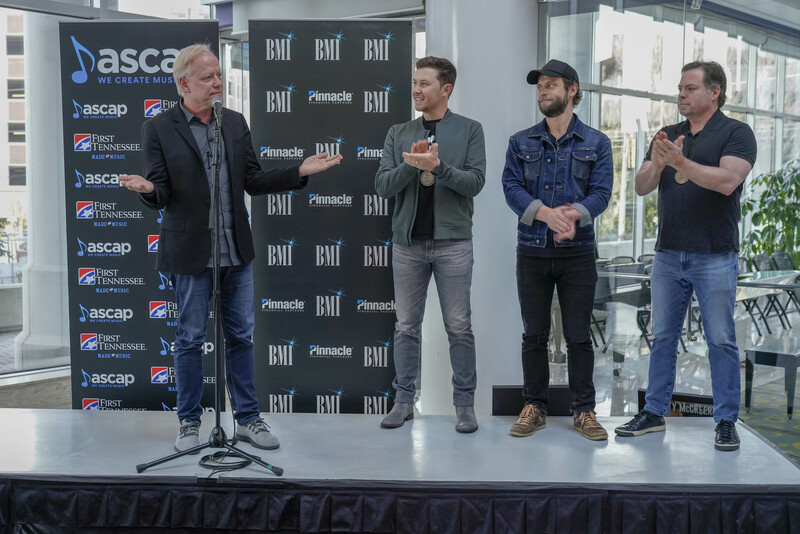 Wells is working on a project in Canada and was not in attendance at the event, so Rogers called him from the stage and put him on speakerphone, as the industry crowd shouted congratulations for his first No. 1 as a producer. “This is It” was written a few weeks prior to Scotty’s marriage proposal to Gabi, and the video for the track featured footage from their wedding. Others taking part in the No. 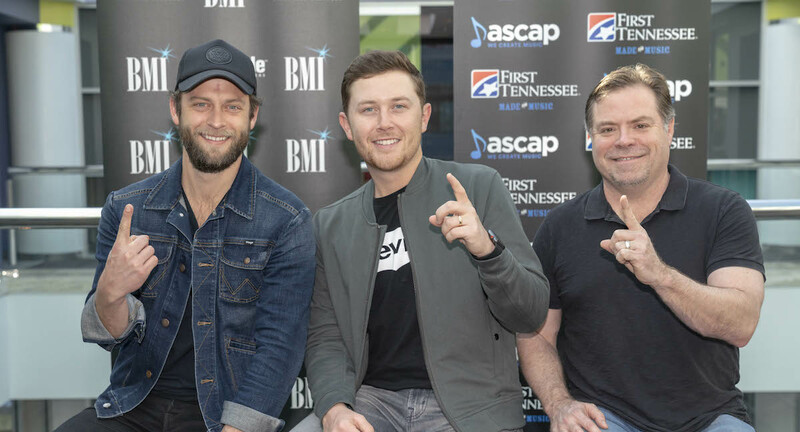 1 party included ASCAP’s Evyn Mustoe, BMI’s Mary Ann Keen, CRB President and Townsquare Media Sr. VP Kurt Johnson, Triple Tigers’ Norbert Nix, Kevin Herring and George Couri, SMACKSongs’ Lee Krabel, Fluid Music Revolution’s A.J. 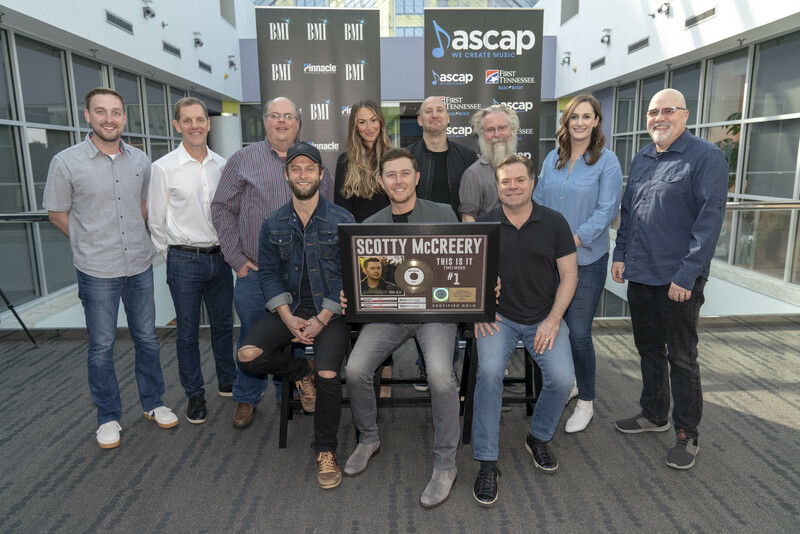 Burton, CMA’s Brandi Simms, and more.